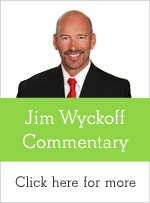 US - Hints in the market could signal a top is near for cattle, reports TheCattleSite analyst Jim Wyckoff. August cattle closed up $0.92 at 158.22. August cattle closed higher on Monday. The high-range close sets the stage for a steady to higher opening when Tuesday's session begins trading. Stochastics and the RSI are overbought but are turning neutral to bearish hinting that a top might be in or is near. Closes below the 20-day moving average crossing at 153.98 are needed to confirm that a short-term top has been posted. If August extends this year's rally into uncharted territory, upside targets will be hard to project. First resistance is last Monday's high crossing at 160.20. Second resistance is unknown. First support is the 20-day moving average crossing at 153.98. Second support is the reaction low crossing at 146.80. August feeder cattle closed up $0.70 at $220.97. August Feeder cattle closed higher on Monday. The high-range close sets the stage for a steady to higher opening when Tuesday's night session begins trading. Stochastics and the RSI are overbought and are turning neutral to bearish hinting that a short-term top might be in or is near. Closes below the 20-day moving average crossing at 215.70 are needed to confirm that a short-term top has been posted. If August extends this summer's rally into uncharted territory, upside targets will be hard to project. First resistance is last Wednesday's high crossing at 223.10. Second resistance is unknown. First support is the 20-day moving average crossing at 215.70. Second support is the reaction low crossing at 207.90. Third support is the reaction low crossing at 204.85. IMPORTANT NOTE: I am not a futures broker and do not manage any trading accounts other than my own personal account. It is my goal to point out to you potential trading opportunities. However, it is up to you to: (1) decide when and if you want to initiate any traders and (2) determine the size of any trades you may initiate. Any trades I discuss are hypothetical in nature. Here is what the Commodity Futures Trading Commission (CFTC) has said about futures trading (and I agree 100%): 1. Trading commodity futures and options is not for everyone. IT IS A VOLATILE, COMPLEX AND RISKY BUSINESS. Before you invest any money in futures or options contracts, you should consider your financial experience, goals and financial resources, and know how much you can afford to lose above and beyond your initial payment to a broker. You should understand commodity futures and options contracts and your obligations in entering into those contracts. You should understand your exposure to risk and other aspects of trading by thoroughly reviewing the risk disclosure documents your broker is required to give you.